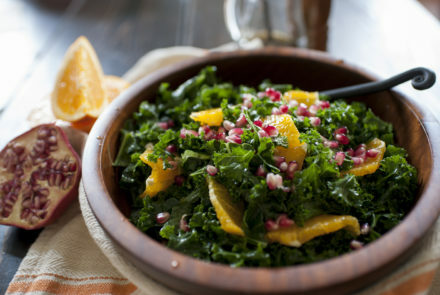 Rich greens and citrus combine for a crowd-pleasing starter with this seasonal kale salad that is packed with tons of color and flavors. 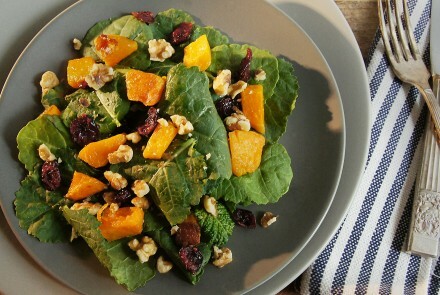 If you aren’t craving salads with the cooler weather, this Pumpkin and Kale Salad will change your mind. The dried cranberries add a lovely holiday feel to the dish. 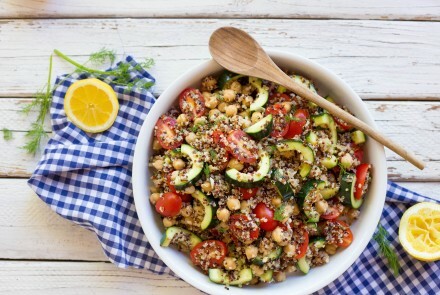 You simply can’t go wrong with this Minty Mediterranean Salad recipe from Jilly Lagasse to accompany any of your summertime meals! 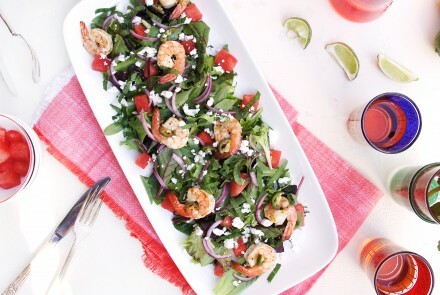 This salad has it all: A nice, clean citrusy zing, a subtle kick from the jalapeños, a sweet crunch of watermelon and a little saltiness from the feta. 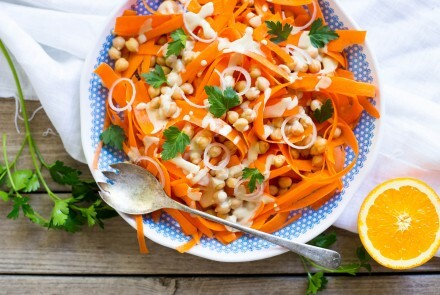 This refreshing early summer salad perfect for alfresco dining and makes a great side dish for meals served on the deck or patio. 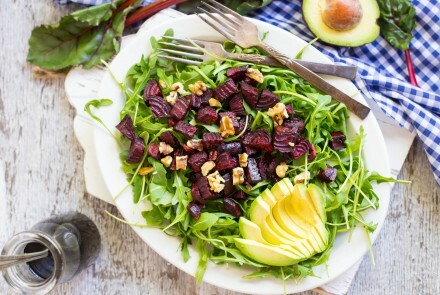 Perfect for alfresco dining as the weather gets warmer and days grow longer, the beets and avocado bloom with flavor when served over arugula and spinach. 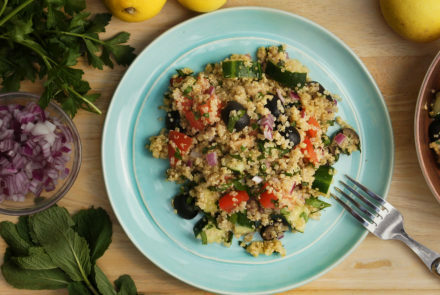 This gluten-free quinoa summer salad is easy to make and a surefire crowd pleaser. Pack it in your picnic basket or enjoy it while relaxing on the deck. 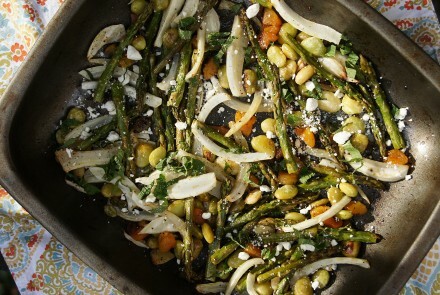 This dish is packed with everything that has sprung in spring—asparagus, fennel, fava beans and mint. 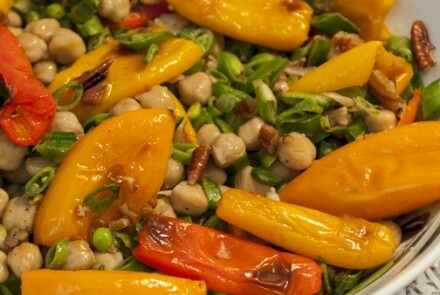 The fava beans add great flavor and are good for you. Roasting baby bells promotes a rich, caramelized flavor, and the skin is so tender they don’t need peeling. 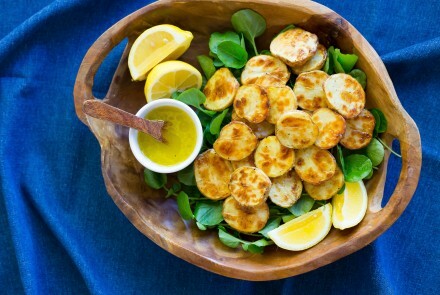 Serve “as is” for an appetizer or over a bed of baby arugula for a light meal.